Dr. Sacristán presents several reflections on what innovation is, how it arises, and how it is deployed and implemented. The talk may be of interest to a general public, but it is directed towards a new generation of young inventors and innovators. Framed with examples and anecdotes from his own experiences, Professor Sacristán presents 5 golden rules to successfully innovate (some of which go against conventional wisdom). Professor Sacristán is a well-known Mexican researcher, inventor and entrepreneur in the field of medical technology. 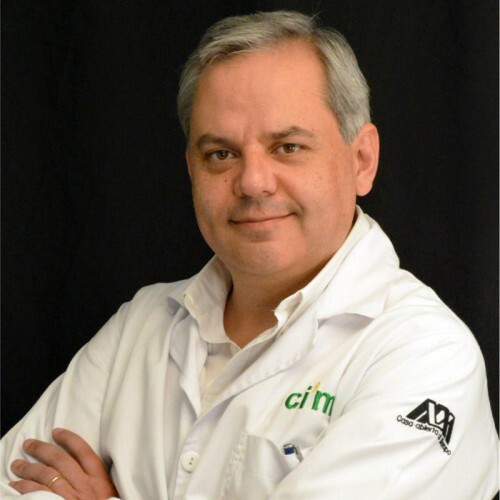 He has a PhD in Biomedical Engineering and is Professor and Director of the National Center for Research in Imaging and Medical Instrumentation of the UAM-Iztapalapa. He is the author of more than 22 international patents and founder of 7 technology-based companies. He is a National Level III researcher and the 2017 National Science Award recipient. By 2030, many power grids will operate with more than 50% renewable penetration (primarily wind and solar). The system operation issues of concern include frequency control, damping control, voltage control, automatic generator control, and renewable resource curtailment in system dispatch and operation. Despite some dire predictions, by enabling control systems in renewable resources, many of the challenging operating issues can be overcome. This talk will provide an overview of the research undertaken at RPI and the CURENT ERC to take advantage of the controllability offered by renewable resources for improved power grid performance. 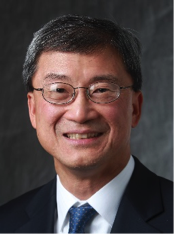 Joe Chow obtained his BS degrees in Electrical Engineering and Mathematics from the University of Minnesota, Twin Cities, and his MS and PhD degrees in Electrical Engineering from the University of Illinois, Urbana-Champaign. Prior to RPI, he was an application engineering in the General Electric power system business. He also spent a sabbatical year working in the market design group at New York Independent System Operator (NYISO). He is a fellow of IEEE and a member of the US National Academy of Engineering. He is a recipient of the Donald Eckman award from the American Automatic Control Council, the Control Systems Technology Award from the IEEE Control Systems Society, and the Charles Concordia Power System Engineering Award from the IEEE Power and Energy Society. 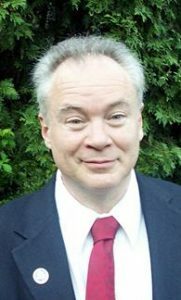 Paul Werbos began training as a mathematician, taking many university courses culminating in the graduate course in logic from Alonzo Church at Princeton while in middle and high school. Realizing the limits of deductive logic, he began his quest to understand inductive logic and intelligence in the mind back in those days, inspired by the work of John Von Neumann, Donald Hebb and early AI (Feigenbaum and Feldman). He obtained two degrees in economics from Harvard and the London School of Economics, divided equally between using mathematical economics as a model for distributed intelligence and developing some broader understanding. For his Harvard M.S. , he took courses in quantum field theory (QFT) from Julian Schwinger, but did not fully understand the subject until many years later, after he started an activity in quantum technology and modeling at NSF (see his papers at http://arxiv.org/.) For his 1974 Harvard PhD thesis (reprinted in The Roots of Backpropagation, Wiley 1994), he proposed the development of more powerful, more biologically plausible reinforcement learning systems by the then new idea of using neural networks to approximate dynamic programming (ADP), including the value function. In order to implement ADP in a local biologically plausible manner, he translated Freud’s theory of “psychic energy” into an algorithm later called backpropagation, and a rigorous general theorem, the chain law for ordered derivatives, which later also became known as the reverse method or adjoint method for automatic or circuit-level differentiation. He has spent many years advancing the fields of ADP and backpropagation and brain-like prediction, aimed at developing and demonstrating the kind of designs which could actually explain the kind of general intelligence we see in the brain and in subjective human experience – collaborating at times with Karl Pribram and Walter Freeman and Pellionisz among others, and proposing biological experiments to test the theory. In looking for applications which are really important to areas like energy, sustainability and space, he has also gotten deep into domain issues and organization, as reflected at http://www.werbos.com/, serving on boards of the National Space Society, the Millennium Project, the Lifeboat Foundation, and the IEEE Energy Policy Committee, and as a Fellow in the Senate in 2009. From 1980-1989, he developed official econometric forecasting models (two based on backpropagation) and was lead analyst for the long-term future at EIA in the Department of Energy. As AI becomes a foundational technology for a new generation of intelligent applications, it is critical to establish an open platform and an end-to-end application ecosystem. Democratizing AI – by giving all users and developers access to these foundational technologies across their devices from the cloud to mobile devices – will unleash the creativity to create new solutions for consumers and business users, and lead to a new virtuous cycle of innovation. Dr. Michael Gschwind is Chief Architect for AI and Heterogeneous Computing at the Huawei Silicon Valley Computing Lab. He previously was Chief Engineer for Machine Learning and Deep Learning at IBM where he led the development of hardware/software integrated AI products. At IBM, Dr. Gschwind created and launched PowerAI, IBM’s platform for Artificial intelligence, and Deep Learning at Scale (DL@S), IBM’s high performance AI project. He also led the optimization of PowerAI for Watson workloads, and served as chief architect for the new-generation Linux environment supporting GPU accelerators. During his career, Dr. Gschwind has been a technical leader for IBM’s key transformational initiatives, leading the development of the OpenPOWER Hardware Architecture as well as the OpenPOWER Software Ecosystem, and served as a chief architect for several generations of Power, Blue Gene, and System z mainframes. As chief architect for the Cell BE, Dr. Gschwind created the first programmable numeric accelerator serving as chief architect for both hardware and software architecture. He is the author of over 100 reviewed papers and a co-inventor of over 500 issued patents covering all aspects of computing system hardware and software. In addition to his industry career, Dr. Gschwind has held faculty appointments at Princeton University and Technische Universität Wien. While at Technische Universität Wien, Dr. Gschwind invented neural network training and inference accelerators in the 1990s. Dr. Gschwind is a Fellow of the IEEE, an ACM Distinguished Speaker, and Chair of the ACM SIGMICRO Executive Committee. Last August, the CFE proudly celebrated 81 years of life, in which our country has profoundly changed, as has our company. This conference describes some data that show this profound transformation over time, during which the CFE has been an indisputable driver of economic and social development in Mexico. Now the company faces the challenge of transforming itself and being able to compete successfully in the new electricity market that has been created in Mexico, starting with the Energy Reform. The current structure of the CFE is described, as well as future challenges and opportunities. Magaly Flores Armenta is a chemical engineer graduated from the UMSNH, with a master’s degree in petroleum engineering from Heriot Watt University in Scotland, Diploma in Design of the Electricity and Energy Integration Markets and Diploma in Management Training at IPADE. With more than 23 years of experience, with a strong knowledge on generation processes, the planning processes, evaluation and structure of projects and the interrelation that must exist between all areas for the achievement of them from conceptual engineering to the dispatch of energy and its commercialization. She has extensive experience coordinating multidisciplinary working groups for studies and new infrastructure projects with renewable energies (geothermal, solar, wind and other non-conventional renewable energy sources). He has directed work teams for the development of the necessary engineering in civil, mechanical, and electrical matters and has the necessary knowledge for the electric interconnection processes of the generating plants towards the transition and distribution networks. She has experience in the analysis of public policy for the planning of electrical systems in order to locate viable generation projects and promoting the need to promote studies that allow evaluating the penetration level of intermittent energies in Mexico’s electricity system. to detect their effects on the operation of the networks in order to mitigate those adverse and contribute to a better planning of the development of the electrical system. During 2015 and 2016, she coordinated the participation of the Generation area of ​​the CFE, in the first and second long-term auctions, convened by CENACE. In the latter, it was possible to place two long-term contracts for the sale of energy, power and clean energy certificates in the Wholesale Electricity Market. She was appointed Manager of Geothermal Electric Projects in 2014, since she worked until the end of 2017, when she was appointed Deputy Director of Network Business of CFE, with responsibilities related to the planning and operation of the SEN.